This is a follow through action from last post, despite our failure to have the famous western food for dinner last round, we went to the restaurant again the next day. We became smart for this round, we called and made reservation earlier, hence we were able to walk straight into the restaurant without having to wait. Anyway, that was no crowd, perhaps we reached slightly earlier before the peak dinner hour. 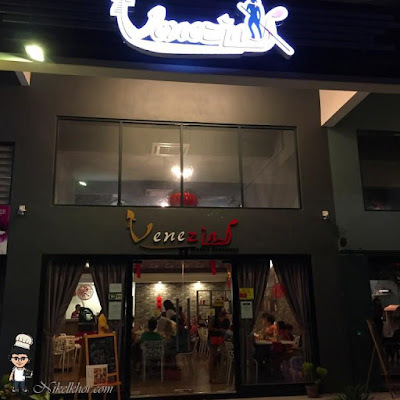 The restaurant, named as Venezia Gondola, is in a shop lot with mezzanine floor. The front part of the dining area has the high ceiling, which makes it looks spacious and grand. We ordered a BBQ Pork Rib for sharing. The pork rib was grilled well and the meat fall off the bone easily. The marinade plays an important role too to remove the porky smell, and the clingy gravy made it taste even better. However, the portion is rather small for this price. 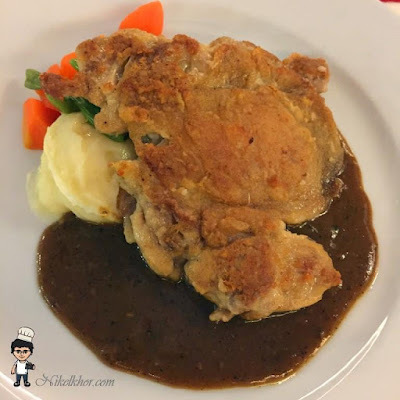 To ensure that the grilled chicken remains crispy, the gravy was placed underneath and not poured on top of the chicken chop. The chicken thigh is battered with thin floured and grilled to golden brown. 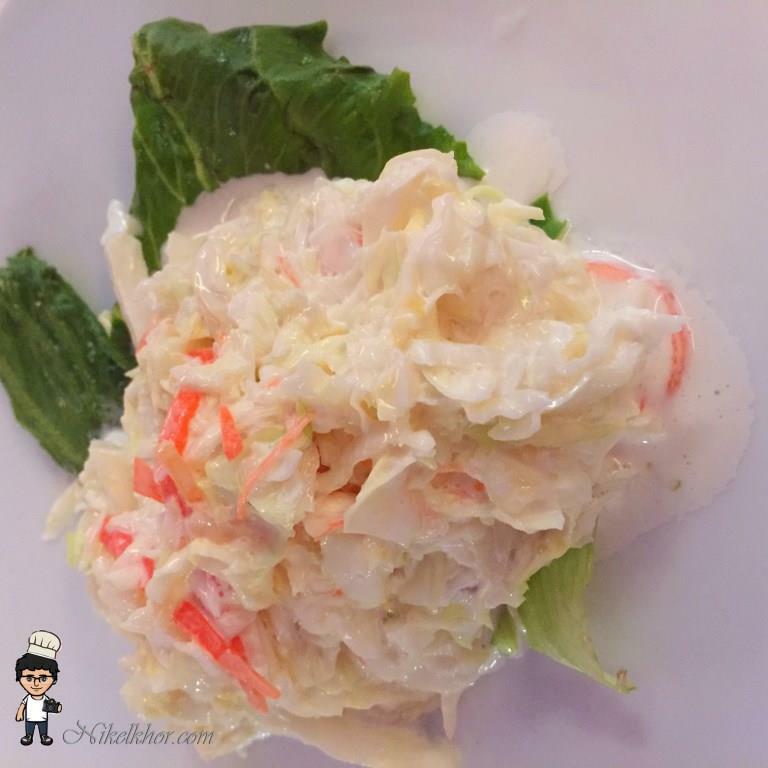 The seasoning was not overdone, so it is more inclined to home cooked flavour. 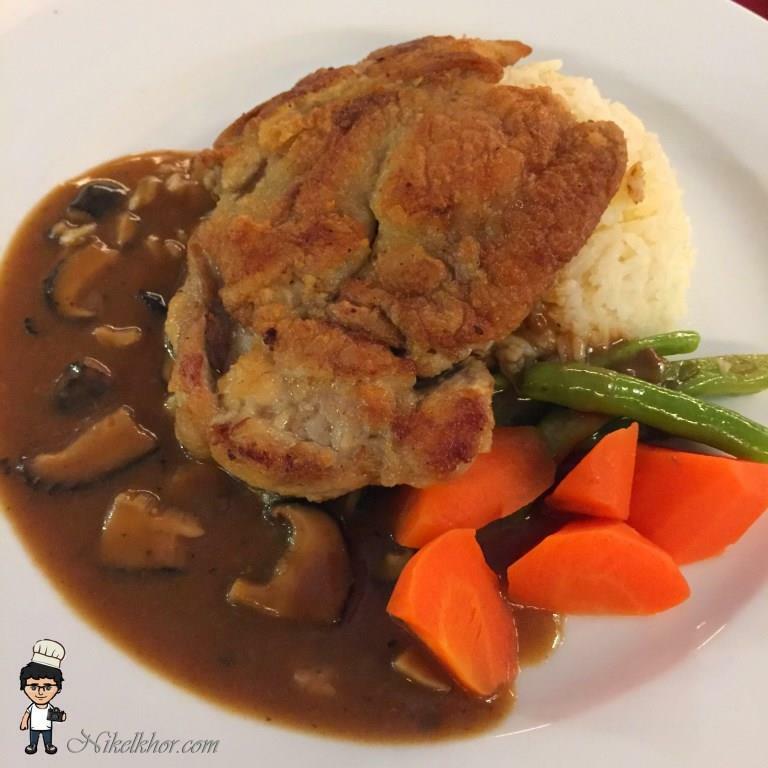 It is a smart choice to pair the meat dish with mashed potato and blanched vegetable to balance the nutrient of the dish as a whole. 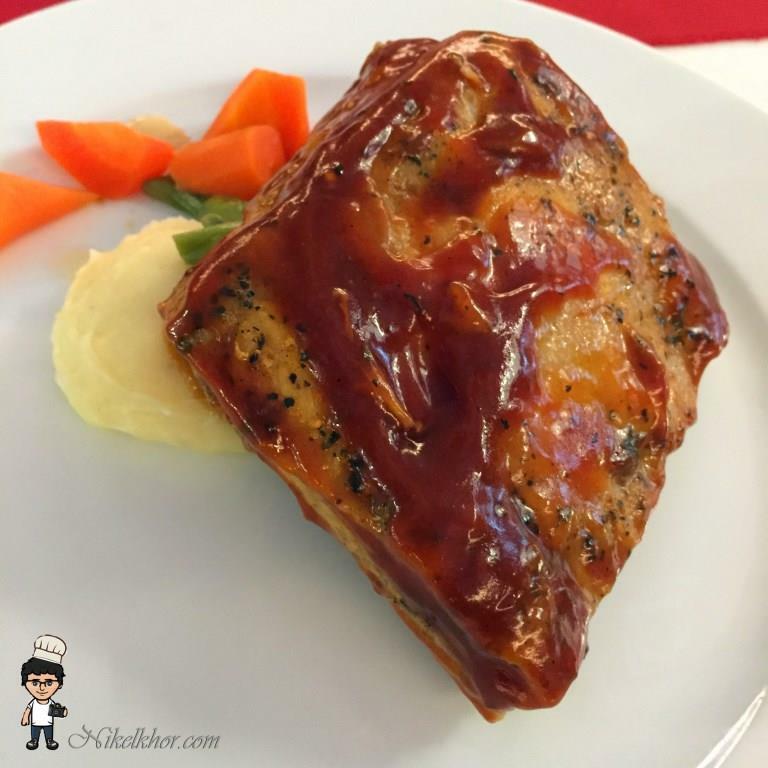 The same cooking method applies to grilled chicken with black pepper sauce too, the only different is the sauce. Venezia Gondola left us an impression that their western dishes have been slightly modified to cater the taste bud of the health-conscious younger generation, which are lighter in taste and pay more attention to the nutrition balance. Credit should definitely be given to such intention to have delicious food with healthy ingredients and elements.